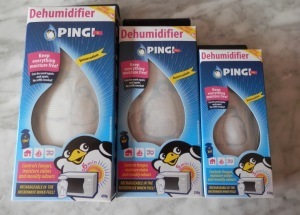 Sydney mould prevention combine Pingi Moisture Aborbers with ChemDry. Sydney Mould Prevention by the experts. Mould prevention deals with mould removal as well as stopping mould from returning. Mould in the home can cause health issues. There is documented evidence that mould spores can cause links to allergies in humans. The link between moisture in a home and mould incubation, is well worth studying. What does mould need to incubate? Dark areas are the best. It needs an area without ventilation. Take away any of the above factors and mould will not be able to start. To clarify, mould is all around us. It is when mould becomes visible, that it becomes an issue. Most often it can be found in bathrooms, on windows, in cupboards, on the backing of carpets and underlay, on walls and ceilings and on carpets and other soft furnishings. Our Sydney Mould Prevention service can be just what you require. The first thing you have to decide is how big a problem the mould has become. We are there to guide you through the whole process. The initial stage of our Sydney Mould Removal service is best left to a local Sydney cleaning companies like Chem Dry Action. Click on their link to see what they have to say about the matter. Get them in to do an assessment and give you a quote if required. They are able to dry your home and clean the mould in a way that limits the spread of pre-existing mould spores. They can even lift carpets, treat the floor, remove mouldy underlay and clean & sanitise affected soft furnishings. The second part of our Sydney Mould Prevention service is to provide you with practical products to keep moisture under control. Our products contain Silica Gel pellets. They can and will not leak. Go to our Shop and order your own!